The Upper Tribunal judge confirmed the appeal will take place next year. 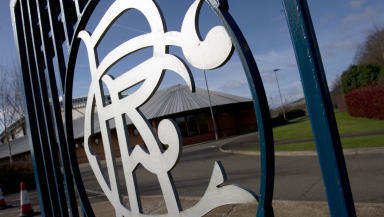 HM Revenue and Customs’ appeal against the Rangers tax case will be heard in public, it has been announced. 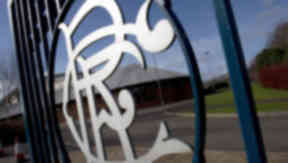 The tax authority is appealing the First Tier Tax Tribunal that ruled in favour of the Murray Group Holdings and its subsidiary, Rangers oldco. In the tribunal decision released last November, a majority of two to one on the panel found that payments made through offshore employee benefit trusts (EBTs) to players and staff at Rangers should be classified as loans and did not attract PAYE and national insurance. There were five cases where the payments made to employees should be classified as wages and were taxable, the panel found. HMRC launched an appeal against the ‘big’ tax case in the Upper Tribunal last year and it is set to be heard on several days between January and March 2014. Colin Bishopp is the Upper Tribunal judge overseeing it and his directions issued at an earlier preliminary hearing in the case were released on Friday. In it, he confirmed that all further hearings in the case will be made in public, after the previous case was held in private. Judge Bishopp said: "It was common ground before me that the presumption is that tax appeals are heard in public, and with no concealment of identity or detail. I accept that, in the past, there was good reason to fear that the personal safety of certain individuals was threatened; but the information now before me indicates that the threats have abated and have probably disappeared. "Even if the identities of some individuals were concealed in the First-tier Tribunal’s decision, the nature of the issues was not." He stated that the original decision to withhold the identities of those giving evidence in the case came about because of the "strong feelings" football can generate. Judge Bishopp explained: "It is undisputed that various threats of a serious nature have been made, and that the Strathclyde Police have been compelled to offer advice and protection to several individuals involved in RFC’s affairs. 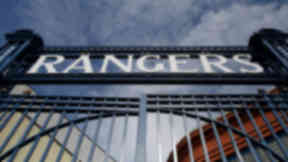 Some of the threats have come from disappointed Rangers supporters; others from supporters of rival teams who have formed the opinion that RFC’s use of the EBT gave it an unfair financial advantage. "Largely because of those threats the hearing before the First-tier Tribunal was held in private. Some of the witnesses who gave oral evidence were resident outside the jurisdiction of the United Kingdom courts and tribunals, and therefore could not be compelled to give evidence; they did so only on condition that their names were not revealed. The two HMRC officers who had dealt with the matter, too, were believed to be under threat and their identities were concealed. In consequence the decision was released in a heavily redacted and anonymised form." 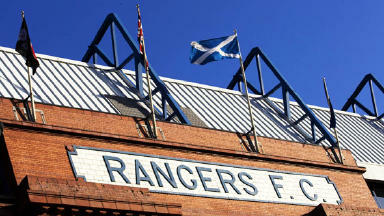 The judge also noted that many of those who gave evidence could be identified by piecing together their First Tier Tribunal evidence with the findings of the independent Scottish Premier League commission chaired by Lord Nimmo Smith that found Rangers breached the rules by failing to disclose EBT payments. 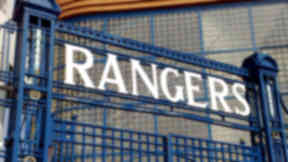 After the case last year, former Rangers owner Sir David Murray stated that the decision left the oldco, which is now in liquidation, and his company facing a "minimal tax liability". Originally, HMRC had sought £36.6m from Rangers oldco for PAYE and national insurance for its use of EBTs from 2001 and 2010. It also alleged that four companies related to Sir David - Murray Group Holdings Ltd, Murray Group Management Ltd, the Premier Property Group Ltd and GM Mining Ltd – owed a further £10m in unpaid taxes on the EBT payments. The panel that heard the first case ruled that most of the trusts were "valid" and payments made to players and staff were loans that are "recoverable" by the trusts. 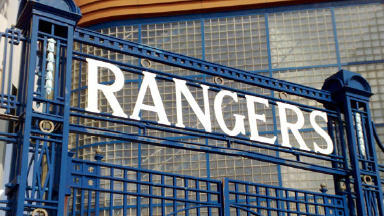 Rangers oldco, now known as RFC 2012 plc, went into administration last February with debts of between £50m and £124m, depending on the amount allotted to the big tax case. Duff and Phelps were unable to agree a company voluntary agreement (CVA) among creditors and liquidators BDO were appointed last October. Rangers’ assets, including Ibrox stadium and the Murray Park training ground, were sold to a newco, formerly Sevco Scotland Ltd, which was backed by Charles Green’s consortium last June in a £5.5m deal. Judge Bishopp said he took into account the financial collapse of Rangers and subsequent fallout into allowing the hearings to be held in public. He stated: "Perhaps because of such feelings, professional football clubs are often regarded as having a special status. In some respects that may be the correct view; but it should nevertheless not be overlooked that a modern professional football club is not a 'club', in the sense of an unincorporated association of members who join together in pursuit of a common purpose, but a commercial enterprise whose function is to generate profits for its shareholders. "From that perspective it has no special status, and there is no reason why its tax affairs should not be as open to scrutiny as those of any other profit-making organisation. The players, too, have no greater right to conceal their tax affairs from public scrutiny than any other taxpayer. The fact that they are in the public eye is irrelevant. "Any application for privacy, anonymity or redaction of detail must therefore be supported by the same type and quality of evidence as would be required of another taxpayer, and will be granted only for the same reasons." Under his direction, the HMRC employees who dealt with the case will remain anonymous in the Upper Tribunal hearing, while other witnesses who were not compelled to give evidence during the original case will not have to give evidence.